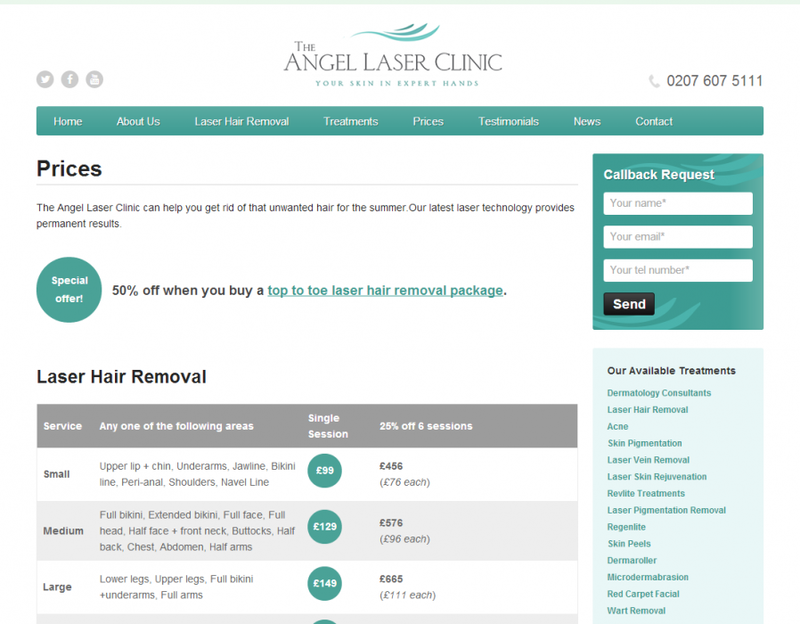 Angel Laser Clinic approached us with an outdated website that had a poor navigation and style clashes between different pages of the website. This resulted in subdued performance a low visitor-to-customer conversion rate. We conducted a thorough business review, identifying priorities and revenue generating areas that needed emphasis. This led to a construction of a new website structure that reflected the business identity and retained a homogenous design style throughout.